We offer 30% discount for rail tickets for children aged 5-10 years. One child under the age of 5 years may travel free of charge without a separate seat, if accompanied by an adult. — The child's age must be proven on board the train when tickets are inspected. 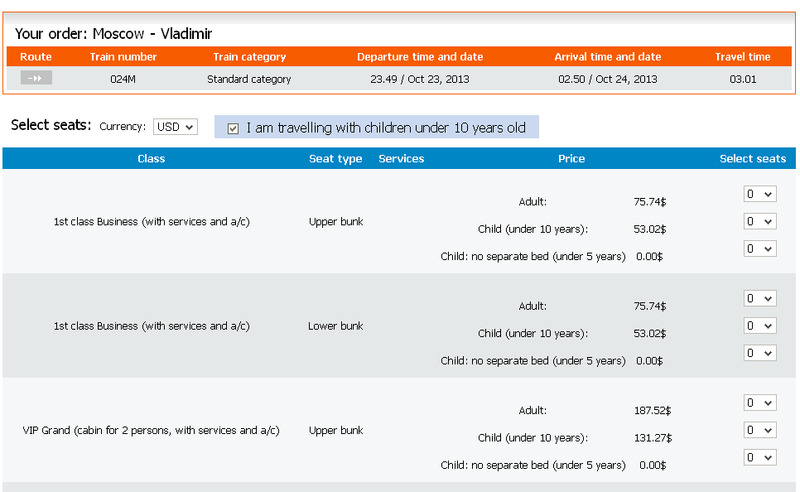 — The discount is valid only for the trains operating within Russia (not available for international trains).